One thing I love about this slow cooker beef chili recipe from Down South Paleo is that it's so easy and simple to make! The recipe is totally paleo and has no beans. 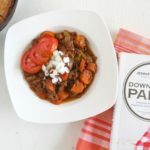 One thing I love about this slow cooker beef chili recipe from Down South Paleo is that it’s so easy and simple to make! The recipe is totally paleo and has no beans. Did you know traditionally that Texas chili doesn’t contain beans? 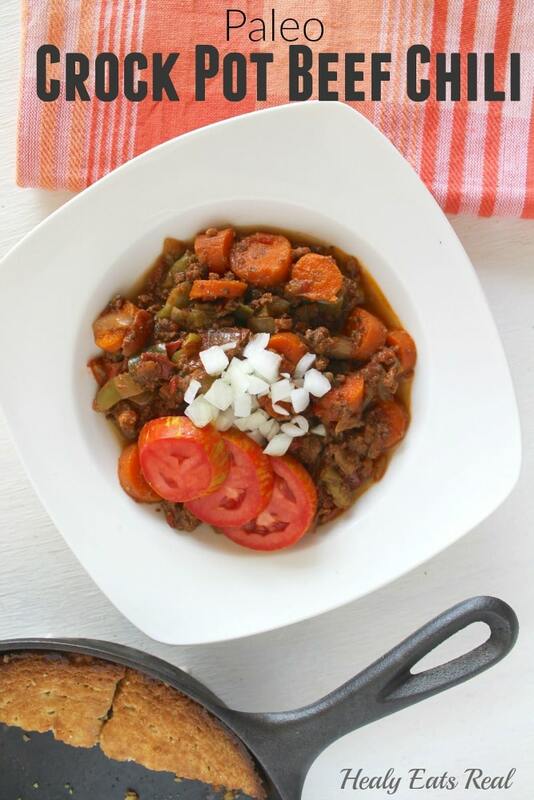 So really, Texas chili is paleo anyway! All the lovely spices like cumin and paprika plus additions like Worcester sauce give a really nice depth of flavor. This was such a yummy meal to make earlier in the day and leave in the slow cooker until dinner…it basically makes itself! I made the tasty cornbread from the book along with it and it made the perfect hearty Texas meal. 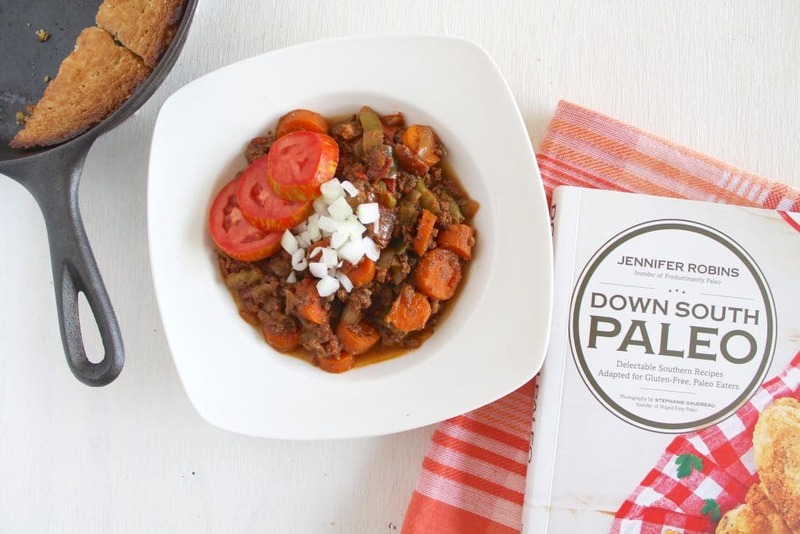 I am loving the new cookbook Down South Paleo by Jennifer Robins of Predominantly Paleo! As a gluten-free & mostly paleo person, it is hard to get southern food that I can actually eat. Everything seems to be breaded with wheat flour! But Jennifer’s book makes southern cooking accessible to all. I have enjoyed her blog Predominantly Paleo for a while and have noticed her skill with yuca dough which creates the best faux bread and dough. Down South Paleo is packed with southern favorites like chicken and dumplings, biscuits & gravy, fried chicken, chili, hushpuppies, fried okra, and more! There are beautiful pictures to accompany nearly every recipe. I can’t wait to make the grain-free pecan waffles and the chicken pot pie. This book will definitely be getting dirty in my kitchen! Place the grass fed ground beef in a medium-size skillet over high heat and brown, stirring, until no longer pink.